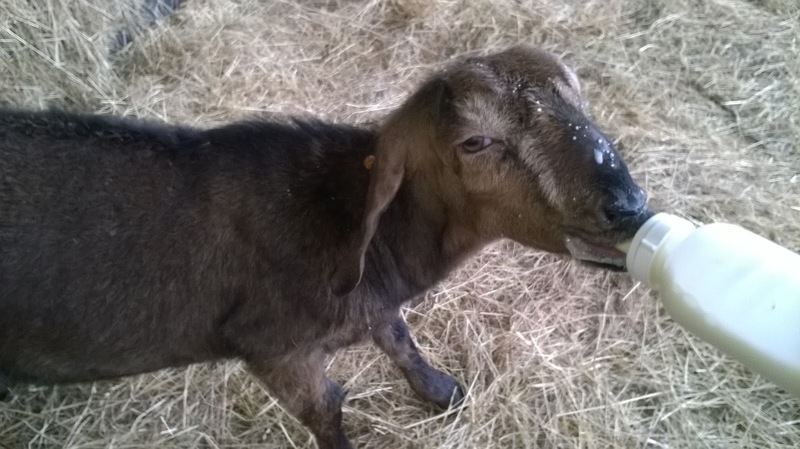 Ellie's Dairy - The Finest Goat Milk, from Kent: Growing kids .. I thought it was about time that we found out what all those youngsters are up to! 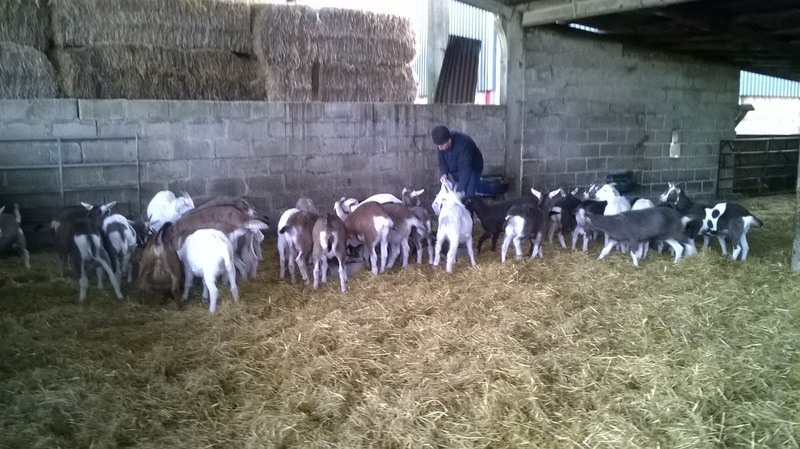 Most of the female kids, as you already know, went to their new home in Herefordshire some time ago. So, we just have about 8 little girls left now and they are all living quite happily with the little meat boys. David was very popular this morning as he arrived with their breakfast .. 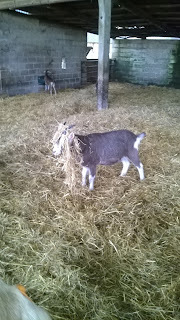 Especially as he rolled out some new straw for them as well! Everyone likes to play in new straw ..
Whilst some prefer to wear it as a disguise ..
As always, there is one particularly special little chap .. Yes, still on milk at this time of year! He was not doing very well at all and was not eating properly, despite being given lots of attention. He became so poorly that it was time for desperate measures and so I tried putting him back onto bottles of milk to try and get some nourishment into him. And it worked! He is fit and healthy again and growing stronger every day .. but he does still demand his milk at breakfast time.